Why Do You Need to Copy DVD movies? Maybe you have used the DVD movie for 1 year, you are a old DVD movie collector and have collected 700+ DVD disc. However, do you really know your DVD movies? Do you know the way to manage and keep the DVD movie forever? At present, more and more people like to copy DVD movies, want to know the truth and the importance to do this? Is it worthying copying DVD movies with some DVD Ripper tools? All the confusions will be solved at below. In theory, the discs were designed to hold data for around 100 years. But that would only hold true if the disc was sealed away from all elements. (air, light, moisture, etc) If the disc is subjected to these elements continuously, a mere 2 years can be expected. Another one: Brand and quality of the disc is important too. There are many other factors which can affect the DVD datas, for example: Oxidation when air comes in contact with the reflective layer, Galvanic reaction between the layers and coatings, Chemical reaction caused by impurities in the disc’s adhesive or aluminum coating and so on. In general, you need to pay more attention to the DVD disc, especially your precious DVD discs. We have known these factors which can affect the DVD movie life, how do you do to protect your DVD movies? From the traditional ways, you can do and not do some actions on the DVD disc. We have made the list, hope to be useful for you. Even you do above actions, you only can keep the DVD 50-100 years of data life. how to keep the DVD movie forever? You need to copy the the DVD and get the DVD many copies or you can get the digital DVD movies and get rid of the DVD disc forever. DVD copy software can do this for you, like Bytecopy for Mac which is one of the best DVD ripper, you can remove any DVD copy protection: CSS, RC, RCE, APS, UOPs and Sony ARccOS and so on. This software can work on the macOS High Sierra well, at the same time, you can install this software on the Windows OS, including the larest Windows 10. You can copy full DVD disc ot the DVD movie main title which can keep all the DVD main movie content, then you can use a DVD creator and burn the DVD to a blank DVD disc. Of course, they are not the best options, here, you have 300+ options for keeping DVD movies: Backup DVD to MP4, MOV, WMV, MKV, etc. Digital video is the best storage way. What’s more, you don’t need the heavy DVD player, don’t need to worry about the frail DVD disc, you can play the digital DVD movie at any portable devices you want: iPad, iPhone 8, iPod, PC, Mac, PS4 Pro, Xbox One, Apple TV 4K, Samsung TV, etc. 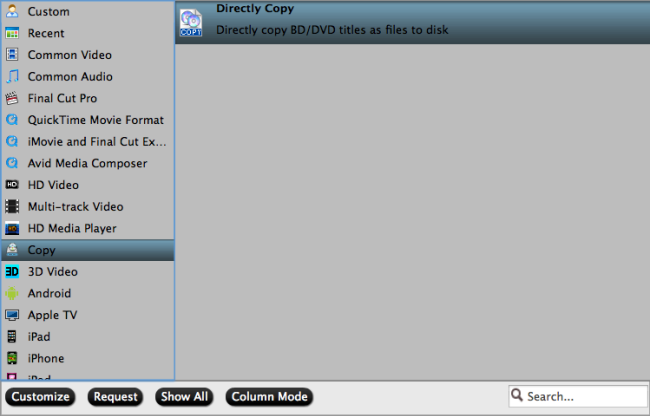 Open this DVD Ripper and click File and choose Load files button to import DVD videos directly from your disc. When you load the DVD/BD disc, this software can detect the DVD main title automatically. At the main interface, you can choose to output the video with forced subtitles and decide the forced subtitle language. Best Way- Get digital DVD movies: Click Format button and open the output video list, you can find 300+ video formats at here, like: MP4, H.264, H.265, MOV, AVI, MKV, WMV, MPEG-2, etc.etc. 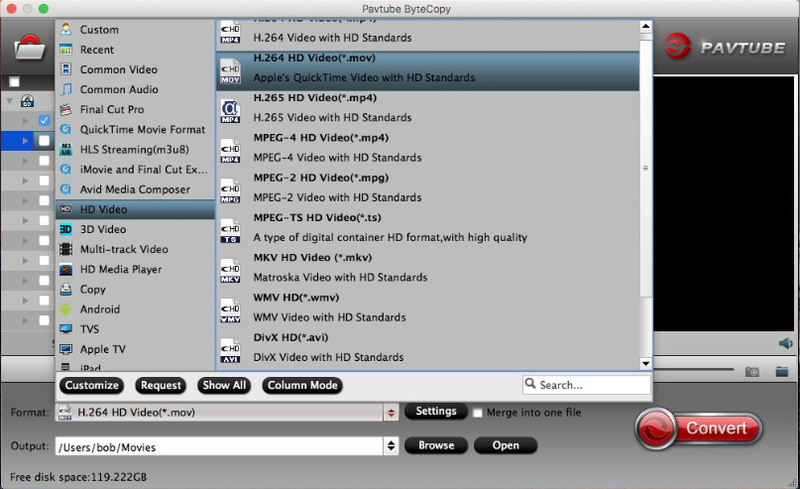 You can choose any video formats you need. Best video format you can get: multi-track losless MKV video format which can keep the video subtitles, chapters, multi-tracks. At the same time, you also can remove them you don’t want. Copy full DVD disc: Just click on the top of this software, this button will help you to copy the whole DVD disc content, like: video chapters, subtitle, audio tracks, menu and navigation contents and so on. After choosing the disc copy mode, go back to the main interface and click Convert button to start the video conversion with fast speed. Do you want to take the traditional way to protect the DVD movies or like the digital DVD copy ways? If you like the DVD disc, you can choose first way, you need to pay more attention to the DVD storage environment. You also can choose to get the digital DVD movies for more enjoyment, you even can upload the DVD to NAS for streaming, like: Synology DiskStation DS418j, Synology DS1817+ NAS, etc. Good luck to you.